Vinification: Cabernet Sauvignon & Merlot from our Nashik vineyards are handpicked, sorted and fermented separately for 15-20 days for varietal expression, colour, flavour and tannin extraction. After vinification they are matured separately in oak for a period of 5 to 8 months to gain complexity, structure, roundness & finesse. 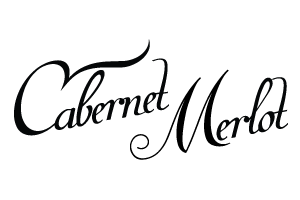 The Cabernet & Merlot may be blended either before or after oak ageing depending on vintage. Tasting Notes: This blend is a good representation of a ripe & elegant Cabernet & Merlot from the Nashik region. The wine is medium bodied with a deep maroon colour. It has sweet aromas of ripe red fruits and cherries on the nose. It is well structured and elegant while displaying spicy notes of green pepper and oak on the palate. Steaks, kebabs, spicy Indian food, cheese and chocolates.